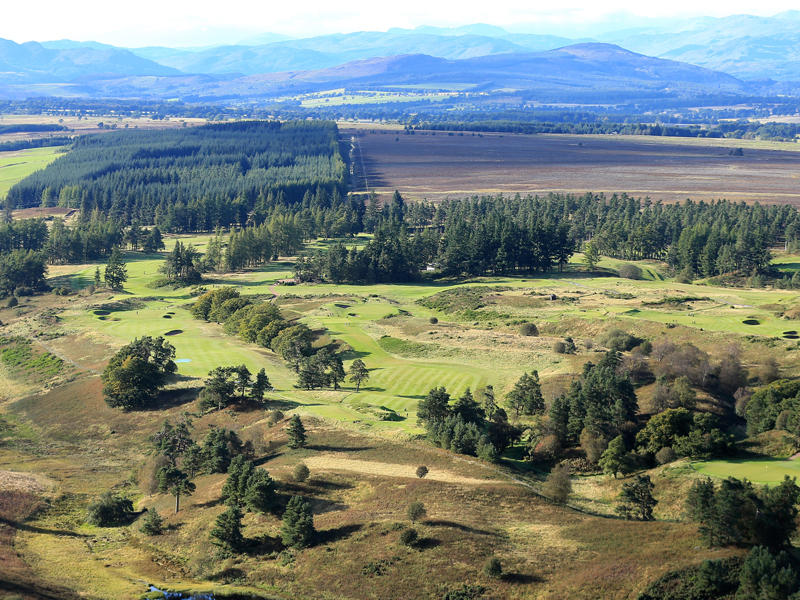 At the heart of Scotland, Perthshire is home to some of the country's best inland courses. Perthshire, or the County of Perth, is one of the largest land registration counties in Scotland. It’s extremely diverse in terms of landscape, from the fertile agricultural countryside of the south and east, to the rugged mountains of the Southern Highlands in the north and west. It’s a land of great beauty and also a rich history. 42 Kings of Scotland were crowned at Scone near Perth; the Jacobites had a famous victory at the Battle of Killiecrankie in 1689 and Mary Queen of Scots was imprisoned at Castle Island on Loch Leven in 1567 where she was forced to abdicate in favour of her son James. Golf’s birth was in Scotland and Perthshire is at Scotland’s heart. As you might expect then, the sport is a part of life in this striking part of the country. Perthshire boasts a wonderful array of stunning inland courses and, in September 2014, the county welcomed the greatest show in golf when the Ryder Cup was contested at the iconic Highland resort of Gleneagles. In June of 1921 a group of American professionals, including Walter Hagen took on a team from Britain around a newly opened course in Perthshire at Gleneagles. The result was a resounding win for the home side but, more importantly, a precedent that led to the inception of the Ryder Cup six years later. It was fitting then, that the great biennial, trans-Atlantic event returned to Gleneagles in 2014. 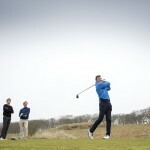 The event was contested over the fabulous, Jack Nicklaus-designed, PGA Centenary Course. Venue for the European Tour’s Johnnie Walker Championship since 1999, this is a classic tournament course with sweeping fairways, undulating greens and perilous water hazards. Over the seasons leading up to the Ryder Cup, significant investment saw many improvements to the layout, both in terms of design and drainage. I’ve had the pleasure of playing this course a number of times in media days for the Johnnie Walker and can confirm just how testing it can be! But, in fact, it’s not so demanding that the average player can’t enjoy a round here thanks to a good selection of teeing areas and relatively generous fairways. As with all three courses at Gleneagles, a key feature of a round over the PGA Centenary is the stunning setting. Progressing through the game, you’re given dramatic views across the Perthshire Straths, and to Ben Vorlich, the Ochil Hills and the Grampian Mountains: a striking backdrop. The Kings course is one of my favourite inland tracks anywhere in the world. The layout is carved through the pine trees and it rises and falls over springy moorland turf. It may not be the longest, but with blind shots, humps, hollows and testing greens, this is a course that will only reward precise and considered play. Set on the high ground of the Gleneagles Estate, the Queen’s is the favourite of many Gleneagles members. Tight rolling fairways lead to small sheltered greens on this supremely picturesque, yet undeniably tricky course. The hotel is, of course, amongst the best-known and most luxurious in the world, blending Highland grandeur and contemporary touches. The food is unrivalled while off-course activities include shooting, fishing, riding, falconry, off-road driving and tennis. The spa is superb and The Club, with its fitness facilities and swimming pools, saunas, steam room and hot tub, was refurbished in 2013. Heading north through Perthshire, Pitlochry on the River Tummell, is one of the country’s most picturesque towns. Since Victorian times it’s been a popular tourist destination with visitors travelling to see the famous “fish ladder” and stunning surrounding countryside. That landscape is a great feature of the golf course at Pitlochry. With views down the Tummell Valley and up towards the imposing mountain of Ben Y Vrackie, this is a simply beautiful place to play golf. The undulating course was built to a Willie Fernie design and the club has a proud history. It has been host to the Highland Amateur Open Tournament since 1909. In 1919 that event produced a memorable final when 1931 Open champion Tommy Armour, “The Silver Scot,” was victorious over future Walker Cupper W.B. Torrance. As well as being a good strategic test of golf, there’s great history to be enjoyed on the course here. The first hole is the site of an old distillery, the second follows the route of the Old North Road, the fourth green is set on the site of an old Pictish Fort, there are standing stones to the right of the sixth and there are stories connecting parts of the course to both Robert the Bruce and Mary Queen of Scots. Just north and east of Perth, Murrayshall House Hotel sits at the heart of a beautiful 350-acre estate dating back to the 17th century. Home to the Murray, then Graham Murray families for more than 250 years, the estate was owned by Francis Norrie-Miller for much of the mid-part of the 20th century. In 1973 Murrayshall was sold to a group of local businessmen who turned the house into a hotel and employed Hamilton J Stutt to create two golf courses in the grounds. I played the Murrayshall Championship course when I last visited. It’s an excellent test and I found the layout to be in fine condition. The 7th, “Dog’s Grave,” is a standout hole for me – a left to right dog-leg that tempts you to bite off more than you can chew from the tee. The approach is to an elevated green over a stream. There’s no room for error on this one. A unique feature of the track is that there are no less than six par 5s. With the longest of these at 493 yards, the big hitter will be salivating at the prospect. The Lynedoch Course is shorter but certainly no pushover. It has narrower fairways, hemmed in by Scots Pines and bracken and tricky greens. The layout is a par 68 off the whites but 69 off the boxes. Go figure… Well the 15th “Lynedoch View” is a short par-4 off the yellows but a more testing, long par-3 off the whites. I used to play matches against Crieff when I was at university in St Andrews and always looked forward to the outing immensely. Partly because of the potential visit to nearby Glenturret Distillery that was generally factored in, but mainly because this is a supremely enjoyable golf course. There are a great variety of holes on the Ferntower course at Crieff, from long sweeping par 4s to tricky, short par 3s. The greens are excellent and become very quick through the summer. 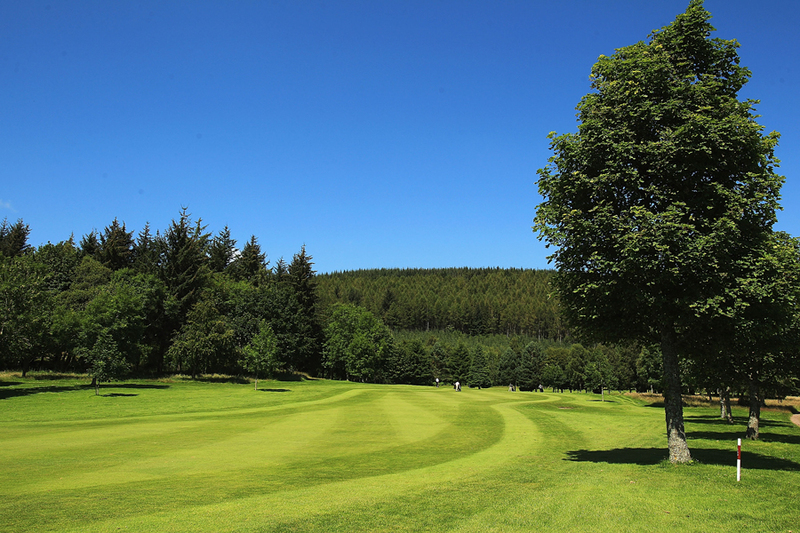 It’s a picturesque spot for golf with some impressive mature trees and great views out over Perthshire. It’s also a testing track, as evidenced by the fact qualifying for the Scottish PGA Championship takes place here. Crieff is a very friendly and welcoming club. With the fun little “Dornock” 9-hole layout as an added bonus, this is a great place for a day’s golf. One of the world’s leading hotels, Gleneagles has delighted guests since its doors first opened in 1924. The hotel delivers the highest levels of luxury and style with beautifully designed suites and communal areas. Some rooms are finished in a traditional style, others with more of a modern feel. The food at Gleneagles is simply superb. Andrew Fairlie boasts not one, but two Michelin stars and the Gleneagles breakfast is legendary. In addition, there’s the opportunity to try fishing, shooting, falconry, horse riding and off-road driving during your stay. This fine hotel is privately owned and run, delivering a refreshingly personal feel and welcome. There are 41 bedrooms, all individually styled and the food is of excellent quality. Set in a beautiful country estate, there are plenty of outdoor options aside from golf, including walking, cycling, quad biking and horse riding. The restaurant at Pitlochry Golf Club is open to the public. After a refurbishment in 2007, it’s a relaxed and comfortable place to enjoy lunch or dinner. Light meals are available through the day with a more sophisticated menu for evening meals. Set in the pretty village of Bankfoot between Perth and Dunkeld, this family-run pub has a good selection of Scottish ales and single malt whisky. There’s a cosy bar and a beer garden to boot!